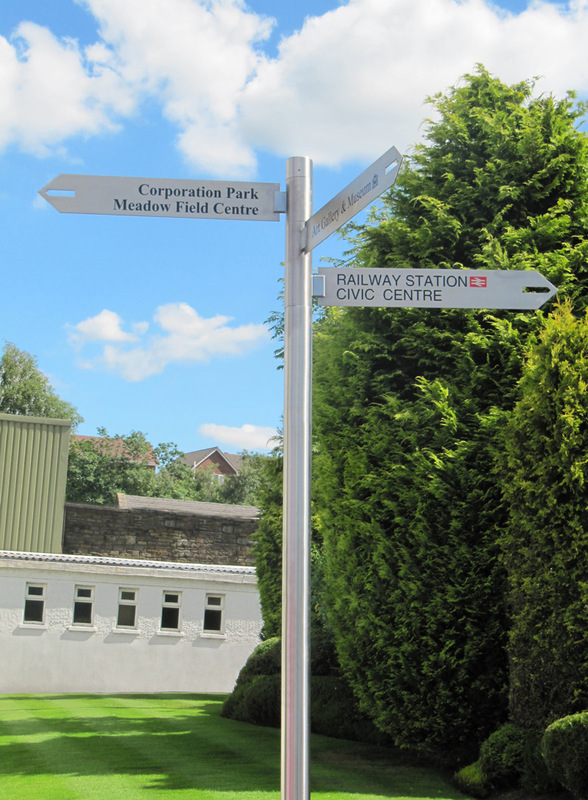 The ever popular Goose Foot fingerpost is a complete signage solution and is available in either stainless steel or mild steel, galvanised and powder coated as a more cost effective alternative. With the addition of adjustable fingers mounted on several levels, this flexible system allows for adjustments during installation. Fingers are mild steel powder coated or made from stainless steel for a robust and impressive finish. Each finger is sign written to specification using die-cut vinyl. Goose Foot works on a consultative basis with the end user to ensure that each solution is site-specific. Special fonts, images and finishes can be specified at the design stage to ensure that themes and branding continue throughout the urban realm. With a simple modular assembly, the finger post is easy to install and to replace fingers. Each collar has a locking nut and locating pin to prevent rotation. 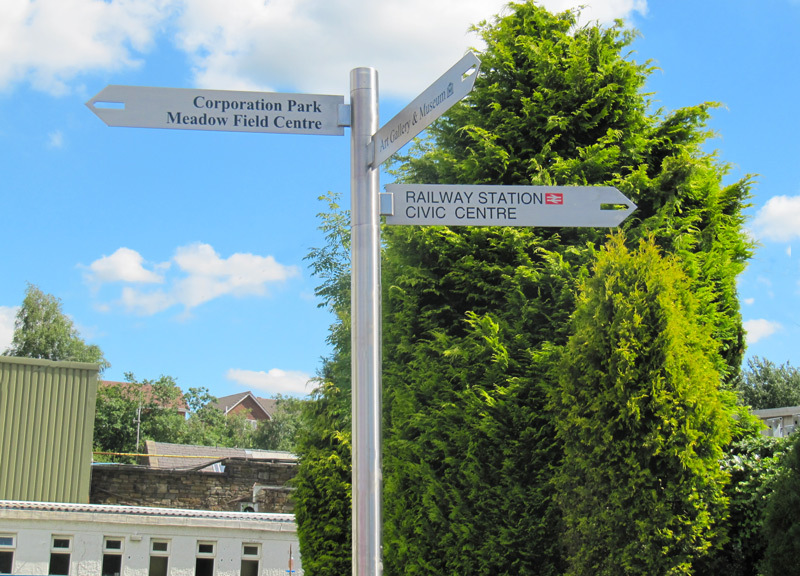 Available in a variety of stainless steel finishes or powder coated in mild steel to blend in with the additional street furniture.